When you think about chanterelles, mushrooms come to mind, but would you think about Newfoundland? I certainly wouldn't! Imagine my surprise when Vince McCarthy told me he named his restaurant after the wild chanterelles that grow around the place, right by the Gros Morne National Park in western NFLD! His philosophy: "making everything by hand, on site with the best ingredients". If he started small doing everything himself, Vince has now a team to help him manage, the 4.5 star Sugar Hill Inn, Chanterelles the restaurant, the garden, so he can still manage to pick wild chanterelles, enough to pickle, dry or use fresh in season! Hands on in the kitchen, Vince relies on a chef like Jay Stuckless and more recently, renowned Italian born chef, Tony de Luca whose experience in North America and Europe brings a new flavour and "savoir-faire" to Vince s restaurant. Up the stairs, the wooden floor and ceiling with lavender walls, give this dining room a peaceful note. An Italian opera is playing as our waitress, with white gloves on, walks us to our table and light the candle. Comfortable leathery black chairs and spotless white tablecloth cover the 2 to 4 seat tables spread in the room. This warm dining room can serve up to 40-50 people on the not so rare busy nights. 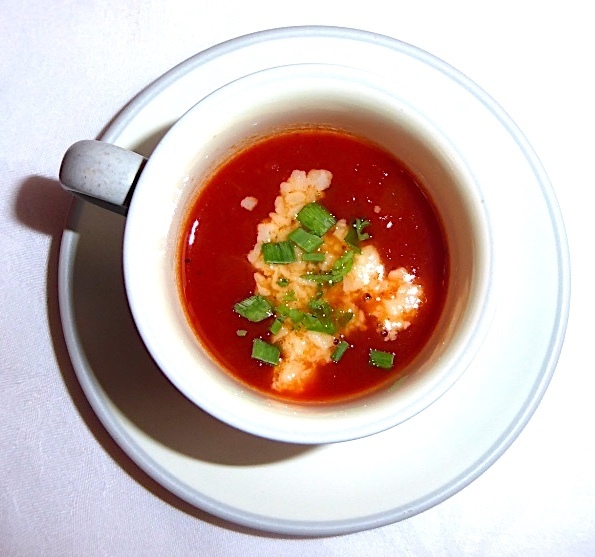 The starter was a surprise as we saw two teacups coming our way… and our waitress mentioned this is one of Tony's amuse bouche, a tomato soup with a hint of white chocolate. The cups were filled with a bright red soup topped with cheddar cheese and fresh herbs from their garden - what a start! 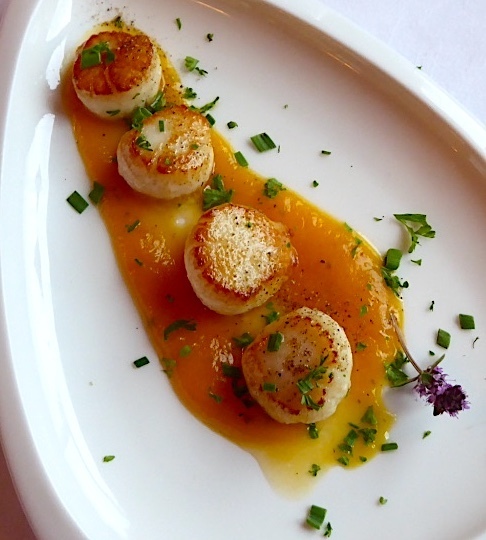 You can also pair your dinner with wine from Vince's impressive selection. As a wine connaisseur, he'll advise you on the best choices to enhance your dining experience. 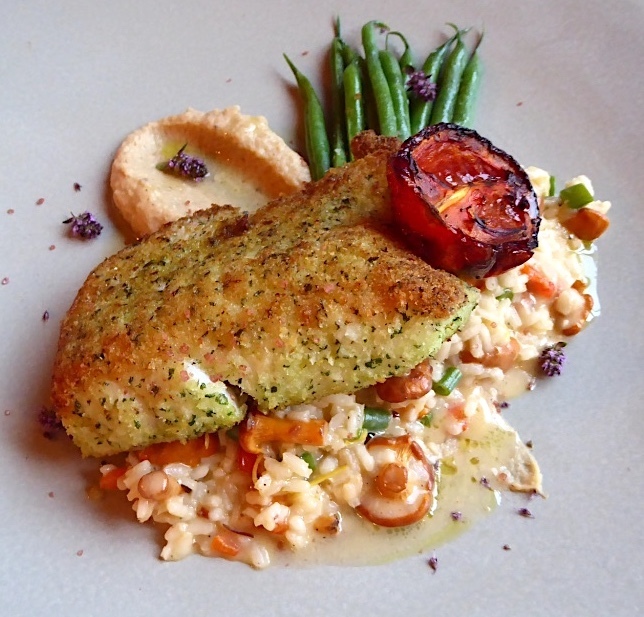 As a main tonight, we loved the lemon basil crusted cod filet served on a bed of chanterelles risotto, cauliflower puree, with green beans and roasted tomato. The well-presented plate shows contrasting colours and plenty local chanterelles all ready to play with your taste buds as the combination works its magic. The French Canadian twist is in the cheeses. 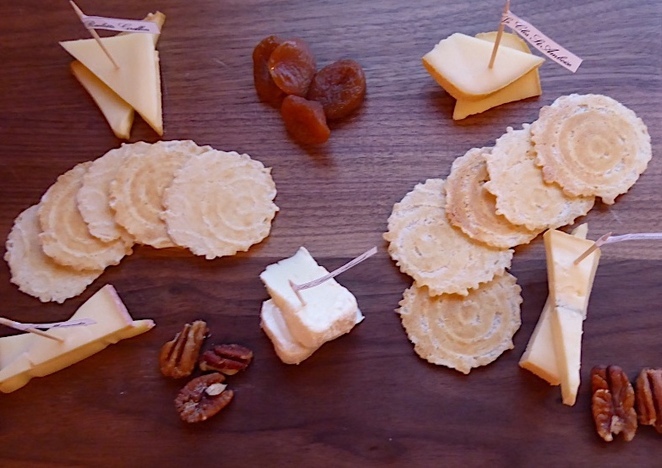 Vince gets a regular shipment from the Fritz Kaiser cheese maker in Noyan, Quebec, offering a nice selection of quality cheeses, served on a wooden tray with pecan nuts and thin crackers. Did I forget to mention we already finished the homemade bread served with butter and herbs! 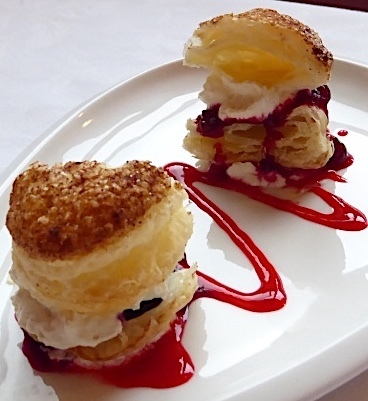 I am always a bit picky with desert but their version of a Napoleon really impressed me. The cinnamon topped puff pastry filled with a vanilla flavoured cream has a coulis made of local blueberries and partridge berries. 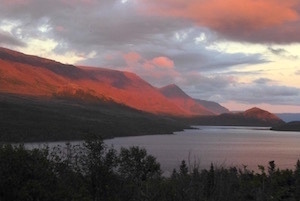 A sweet touch to end a gourmet dinner, nestled in the Gros Morne National Park, so far away from the bustling cities. 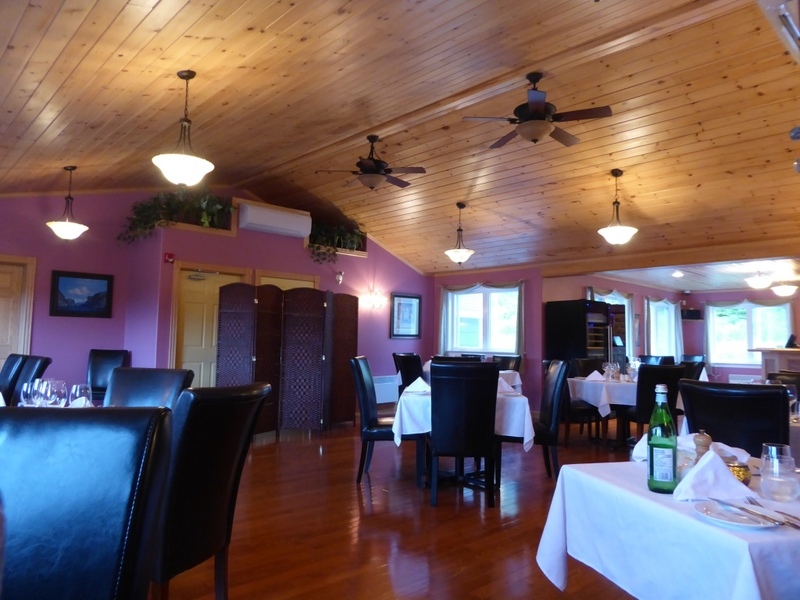 When you come to Gros Morne, make sure to book a table at Chanterelles in Norris Point, unless you'd rather book your stay at Sugar Hill Inn and let Vince and his friendly yet professional staff care for you.